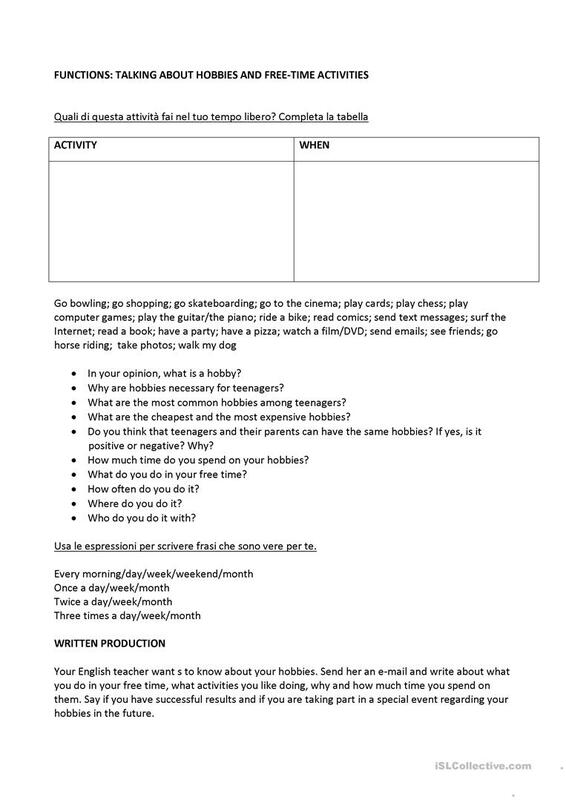 This downloadable worksheet is recommended for elementary school students at Elementary (A1) and Pre-intermediate (A2) level. It is aimed at practising Present simple tense in English, and was designed for improving your groups' Speaking and Writing skills. It features the theme of Free time, leisure activities.